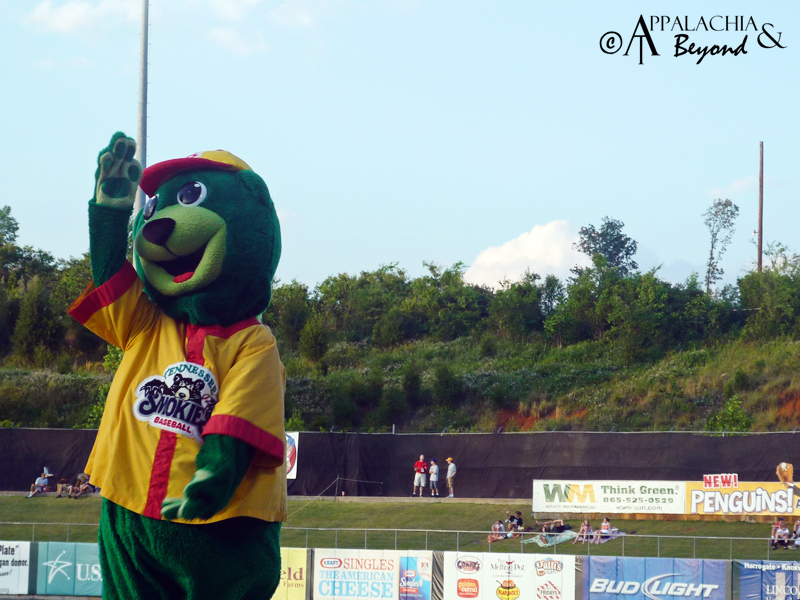 Appalachia & Beyond: One, Two, Three Strikes You're Out! 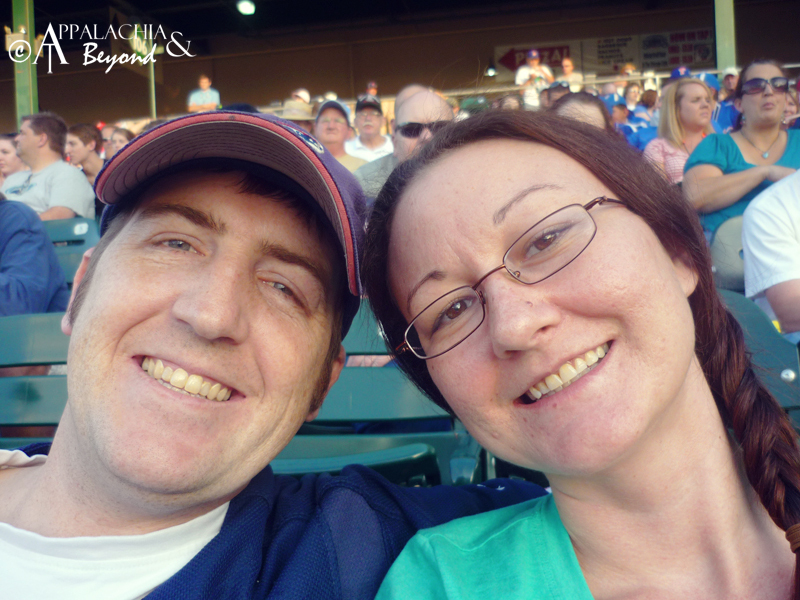 Tim and I spent Friday evening taking what we initially thought would be a 9-inning vacation. 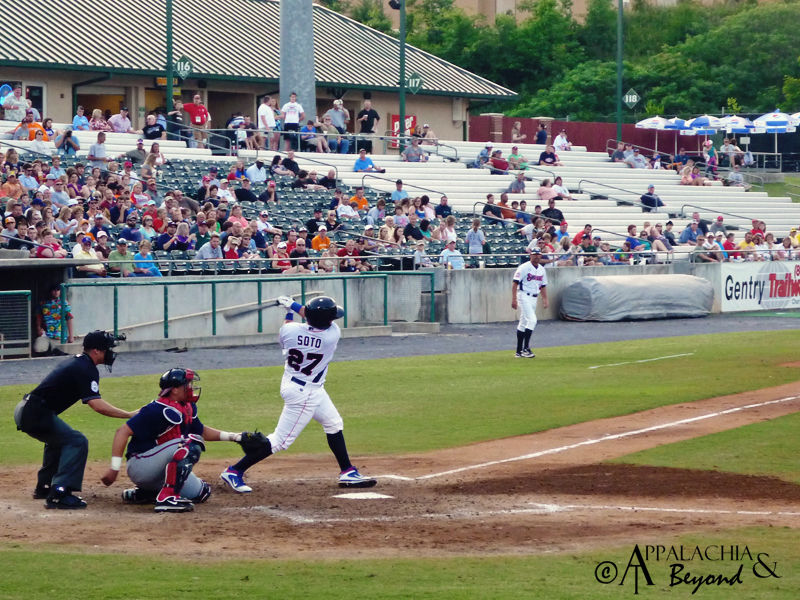 Turned out, Thursday's game was rained out and Friday turned into a 7-inning double header. So, we ended up with a 14-inning vacation and post-game fireworks to boot! It's no secret that Tim and I both love baseball. I love the slowness of the game. I know a lot of people complain about that, but I love just relishing in moments and baseball is the perfect sport for me to do just that. Plus, I can never pass up a ballpark polish sausage. Yum! We were pretty excited about going to begin with. I'd bought Tim tickets for his birthday. It's just not summer here without a Smokies game! Plus, with Tim being a lifelong Chicago Cubs fan, it helps that the Tennessee Smokies are a Double-A Affiliate of the Cubs. So, he and I were even more excited to find out that Geovany Soto (Catcher for the Cubs) was going to be starting his rehab on the very evening we were there! Catcher is my favorite baseball position - and Tim, he just loves seeing anyone from the Cubs. We were pretty disappointed, however. I'd just like to say: Mr. Geo - It's not conducive to a good first impression when you ignore six-year-old children just dying for your autograph. Quit spitting tobacco and sunflower seeds for five minutes and sign the kid's baseball. The article in the Knox News this morning does not fit the REAL character you portrayed whatsoever. You really should do better. Because you know what? Someone else is watching... and they might just BLOG ABOUT IT. Needless to say, I'm still a Michael Barrett fan (even if he doesn't play for the Cubs anymore)... and Get Well Soon, Mr. Barrett! 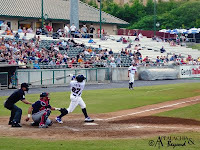 But - We had an INCREDIBLE time, nonetheless and would advise anyone vacationing to the Pigeon Forge/Gatlinburg/Smoky Mtn area to drop buy and see the Tennessee Smokies play. It's great fun for the entire family - tickets are VERY affordable - and the food and fun is great. It's one of the cleanest stadiums I've ever been to, and the people don't get any friendlier (as long as your not looking for friendly from Mr. Soto, hehe).